Exactly 7 years ago, the first ever and only Roma woman, Agnes Osztolykan recieved the prestigious International Women of Courage award. 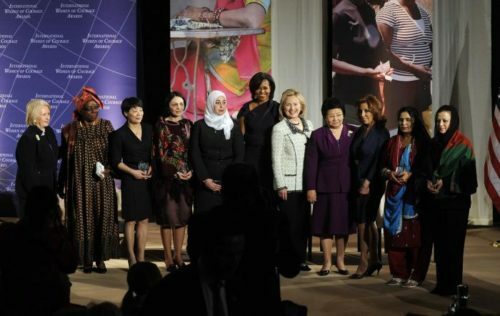 The ex – Secretary of State Hillary Rodham Clinton and ex – First Lady Michelle Obama participated in the International Women of Courage Awards ceremony at the State Department in Washington DC on March 8, 2011. This diplomatic award – established by Condoleeza Rice – reveals the fact, that there are countless number of unacknowledged, marginalized and silenced heroins working on the ground. Agnes Osztolykan – among the 9 awarded women from all over the world – received the award for her ambitious work as a member of the Hungarian Parliament fighting for the inclusion of Roma people.